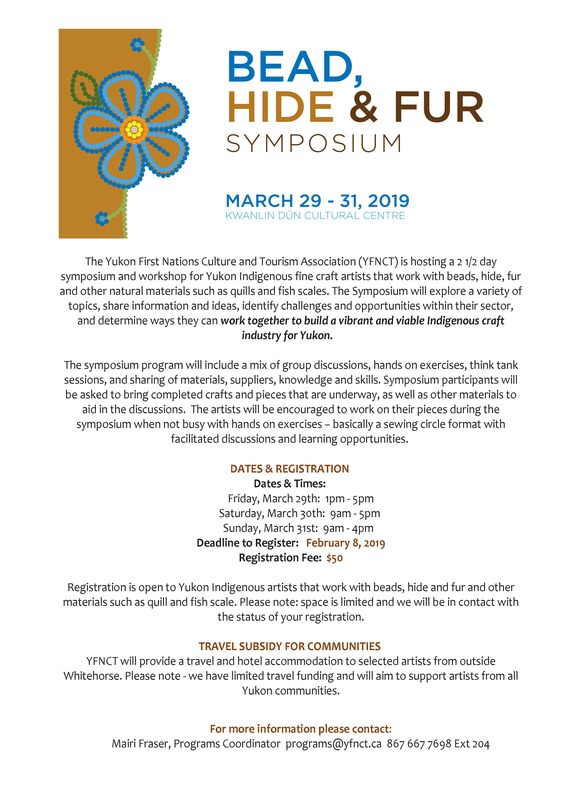 The Yukon First Nations Culture and Tourism Association (YFNCT) is hosting a 2 1/2 day symposium and workshop for Yukon Indigenous fine craft artists that work with beads, hide, fur and other natural materials such as quills and fish scales. 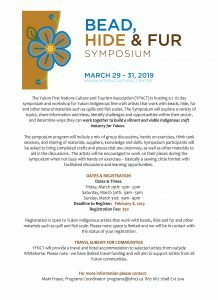 The Symposium will explore a variety of topics, share information and ideas, identify challenges and opportunities within their sector, and determine ways they can work together to build a vibrant and viable Indigenous craft industry for the Yukon. Important Notice from DDDC! Please Read! Da Daghay Development Corporation Call For Artists!